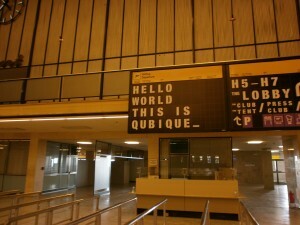 Thank you visitors at Qubique Berlin! Thank you for your visit at our stand at Qubique. We appreciate your interest, time and comments during the fair. It was nice to meet you in Berlin! Please check our website for the latest information on QUINTo outdoor collection. We will certainly take your comments into account for the final product, due in 2012. Meanwhile, we have a limited serie of QUINTo Chaise Longe, Chaise and terrace bed available for delivery. Please contact us for prices and delivery conditions. 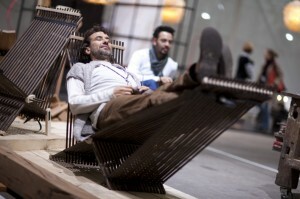 In january 2012 we will be present at IMM Cologne, so we’ll contact you with an invitation and further info. Hope to see you in Köln! 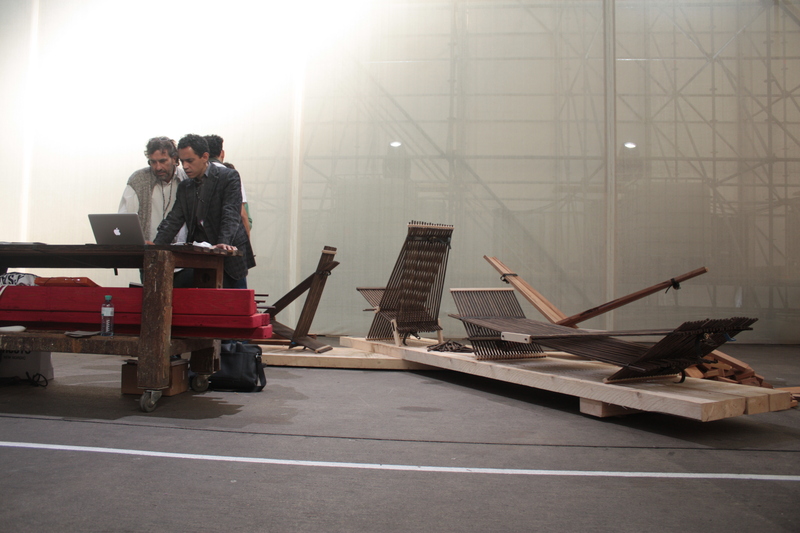 During Qubique, we could talk about the pieces making part of the QUINTo collection, about the geometry, about the qualities and features of Black palm tree wood, about its difficulties, about design, about collaboration, about Mr. Wood, about Arré, about Yoraco. We could talk to anyone asking, to anyone who approached us with a remark or a question, to curious people of Berlin, to fellow exhibitors. We could talk. We talked. 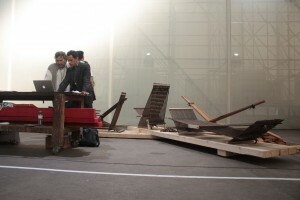 But the QUINTo chair, reclining chair and bed, they told the story in a different way. They let people sit on them, they were to see, they were there to seat.